Lemon juice is a great natural substance to use for household cleaning. We are big proponents of natural cleaning products so if you have not yet switched to incorporate more of them please experiment with the BIG THREE: Baking Soda, Vinegar, Lemon Juice. These are the perfect products to clean your home. My favorite use for lemons (other then drinking it!) is the rind, which I use for cooking and cleaning. When you’re done with extracting the juice, one-half of a lemon peel put through your garbage disposal releases the wonderful essential oils trapped in its rind. This will freshen your drain and sink as many of you already know. If you are a fresh orange juice person, you can substitute orange peels with the same wonderful aroma releasing results. Lemon juice will also easily dissolve soap scum, and with a little elbow grease, eliminate hard water deposits. Lemon is also one of the strongest food-acids to use against household bacteria. You can use it effectively as a great substance to clean and shine brass and copper. It can be mixed with vinegar and baking soda to make cleaning pastes, which you can use in various applications throughout the house and laundry. For using a lemon directly, just cut it in half and sprinkle baking soda on the cut section. Use this lemon to hold easily and scrub dishes, surfaces, and stains. Add more baking soda as needed. You can also mix 1 cup olive oil with ½ cup lemon juice and have an old recipe for furniture polish that works well on hardwood furniture. Lemon Juice is also great to bath in. Two lemons and 1 bag of aluminum free baking soda added to 1 cup of epsom salts is very relaxing and healing. It is also a terrific acid to use on your foot heels to keep them soft and bleached. Lemons are a great addition to your garden, or give a lemon tree which makes a deliciously wonderful gift, and comes in dwarf varieties if you are limited in space. There cannot be enough said about the benefits of this fruit. We grow a VARIETY of lemons in our garden and enjoy them all year (with our blessed Southern California weather). One good FRUIT deserves another! Lemon is like a precious treasure, the more you use it the more you discover its value. Mother Nature gave us lemons, and as the old saying goes, it is up to us to make LEMONADE! Share these TIPS with friends, and send us your HOUSEHOLD CLEANING TIPS for lemon juice. We’ll add them to ours. As an advocate of Mother Nature, I believe true happiness can be found in a garden along with other miracles. 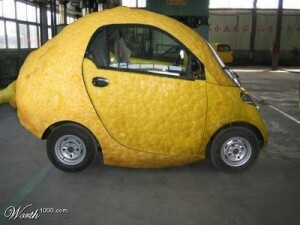 Take LEMONS to work. 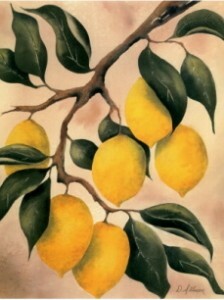 My Grandmother used to say lemon water is good for you, helps clean the blood, and she lived to 96 in fantastic health. ENJOY LEMONS! HAVE A HAPPY LEMONY SUMMER!